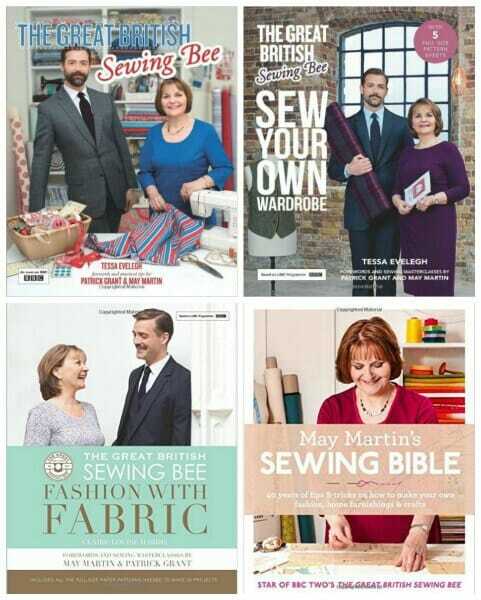 If you are British and enjoy sewing then as soon as I mention the Great British Sewing Bee I'm sure you know all about it. If you aren't in the UK, you might not be aware of it – but you need to watch this show! The Great British Sewing Bee is a series on UK TV run by the BBC, where amateur sewing contestants sew or alter projects against the clock each week. Their garments are then all judged and one at a time the contestants are knocked out and the rest go though to the following round until there are just 3 sewing contestants left in the final – sewing furiously to be crowned the series winner. It's very tense, sometimes funny, and often there are tears when things just don't go right. We've all been there. It's absolutely absorbing, edge of your seat, sewing fun. 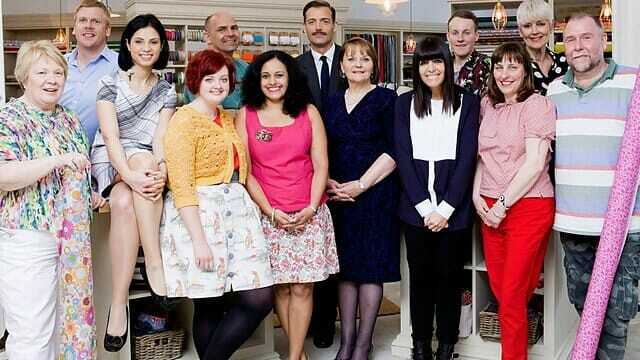 In this latest series, for the first time the men outnumbered the women in the final, and eventually there was a winner – Matt Chapple – the first ever male winner of the Sewing Bee. I wrote to Matt to offer my congratulations and see if he would be interested in an interview for the So Sew Easy site. Much to my delight and surprise he wrote back and said yes, proving he's an all-round super-nice guy as well as excellent at sewing. Some of you saw my post about the upcoming interview and wrote in with your questions. Time was obviously limited, he's a very busy guy following his success, but he's answered as many of your questions as he can below. How did you get started in sewing? What was your first project and what inspires you to sew and what are your favorite projects and materials? I originally learnt basic sewing techniques in the Army to maintain my kit. I’ve actually only been stitching properly for the last few years, it was when we needed a curtain for behind the front door that I turned my hand to sewing for real, and since then I’ve really never looked back. I love to make clothes for my wife Gemma and the kids as they are always so proud to wear them. Since the Sewing Bee I have challenged myself to use a wide variety of materials. I share all my projects on our blog www.SewWhatsNew.co.uk for everyone to see and hopefully inspire a few people along the way to try something new. If you could make a garment for anybody in history, who would it be and for what occasion? Great question! Erm…the kits for the GB Ladies Beach Volley Team?! Seriously though I think to make something for one of the current royal family would be a great privilege, to be able to see it showcased in person. So perhaps something for Kate Middleton, who incidentally used to live in a neighbouring village to us. Which item of clothing would you recommend for a sewing beginner? What's the simplest way to get started with clothes? I think a summer wrap skirt or simple cotton top is a great starter project, you don’t need facings or zips or any of those fiddly things, plus you can let the fabric do the work for you, choose a distributed vibrant pattern and that’ll catch the eye first rather than worrying about the quality of your stitch. And I can’t have the rotary cutter without my shiny stones! so that gets 2nd spot. In at number 3 would be an air erasable marker, although beware of vanishing marks if you take more than a day on a project!!! Believe me I know. A handy little pair of thread cutters, no more nibbling loose ends please. A good seam ripper. The standard ones are ok, but a good quality one is better. What has been your biggest sewing catastrophe? I still rue the day I opted to make boys board shorts from the girls dress on GBSB, they were so bad they had us all in fits of giggles. Lesson learnt, never make shorts or trousers without having a pattern to hand. When the contest was over, did you want to take a break from sewing and just get over it all, or were you feeling even more inspired and wanted to sew even more than before? It was nice to chill out a bit after the intensity of creating 18 garments in 6 weeks, but in all honest I’m making at least one a week now and blogging about it on Sew What's New so it’s not let up that much. I have a habit of buying nice fabric, and Gemma has a habit of finding nice projects for me. What a combination huh. I am currently teaching a gentleman I work with how to sew (he couldn't find some camping equipment type bags fit to his canoe, so I suggested he could make something so he bought a sewing machine and I am guiding him) so my question would be, you don't see many men having the interest in sewing, what brought out the interest in you? Firstly well done you and him, I think it’s great that you challenged him and he rose to it. I was a mechanic in the army, so have always seen things as engineering problems to be solved, and sewing is exactly that in a very pure form. It’s the joining of individual elements to create something wearable or useful. I think there’s a lot of blokes out there who would be really good stitchers if they gave it a go, and maybe the stereotypes are changing, so who knows, maybe some will be inspired by Ryan, Paul, Neil and myself from GBSB to give it a go. I'm curious to know if he has used any YouTube tutorials to make something and if he has, who is his favorite blogger to follow their tutorials. I’ve used YouTube tutorials a reasonable amount over the years, but it’s always been more to solve a problem rather than for recreation and ideas. It’s having two kids that mean our time is limited so when I’m not working I’m stitching or blogging. But I must dedicate more time to research ;o) Infact I was thinking of doing some video blogs on sewwhatsnew.co.uk. maybe to showcase the occasional make or tip, I’ll keep you posted. Did being in front of the tv cameras affect his garment making? Hard to imagine as he always seemed so laid back! You know what, it’s very nice to hear that I looked so relaxed, certainly on week one I felt I clammed up a bit and found it a bit daunting. But the crew were so nice and made us feel at ease, by week 2 or 3 you became almost oblivious to them. Until you make a mistake and pick up the seam ripper, then they come swooping in. I'd ask how in heaven's name they can get an idea for repurposing a garment in 5 min. and execute it in such a short time. It really blows my mind that people can do that. The pattern challenge and the made to measure are easy in comparison huh, without a doubt the alteration is the hardest (but secretly the most fun too, it really is). You have to hope that inspiration comes and then just go for it. The thing is with 90 mins you have to set a course and then stick to it. There’s no time for a change direction. How will winning GBSB influence his further life. What are his plans? And what does he do for a regular day job – I missed that in all that I watched? What do his colleagues think of his success and do they all come to him asking him to sew on their loose buttons! The show has actually changed my life quite a bit, I’m popping along to events such as Bristol Big Green Week for M&S and Opening up a Create and Craft show in Doncaster, plus I am doing some guest blogs for Singer too, all great things. On a personal note we’re looking to release some packs inspiring people to sew a little something for their children or grandchildren. More details will be on our site soon. Thanks to everyone for some great questions, it’s been lots of fun answering them. 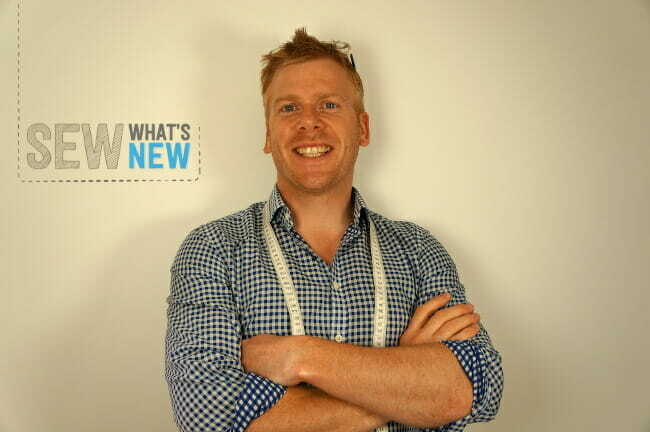 Matt has his own sewing blog you can follow over at Sew What's New, where the whole family share in the fun. 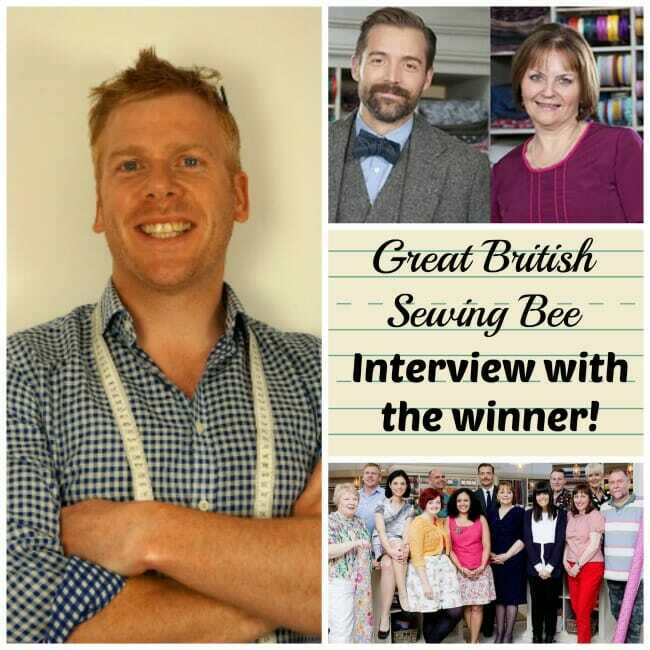 Do drop in and check it out and pick up some of his sewing tips if you want to be a winner! 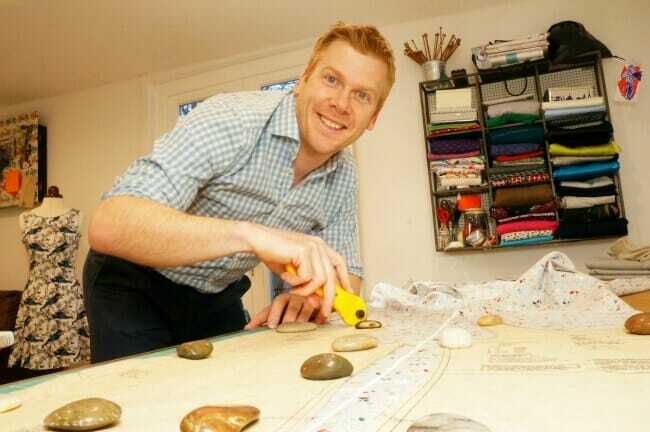 Want to read more about his incredible journey on the Sewing Bee ? It's all HERE. There are also a series of books following the series that you might enjoy. There was a casting call back in Feb 2014 for the US version of the sewing bee soon to hit US tv, but then it all went quiet and I never heard anything more, except perhaps a pilot episode for a program called Stitch Masters that was not continued. Does anyone have any update on that? Here's the casting call from Love Productions US. thank you I am in Africa and i cant wait for this third (i believe) installment. I absolutely loved them. I hadn’t heard about the series. I tried to watch the YouTube episodes and could see a few but unfortunately many said “This video contains content from Little Dot Studios, who has blocked it in your country on copyright grounds.” Bummer! Wish a station in the US aired this show! Thanks for introducing me Deby! How nice to see this interview. I live in the U.S. (Texas) and have been watching the Great British Sew Bee since its debut on YouTube. I love it! Can’t get enough actually. I will have to check out Matt’s blog now. Thanks! Great interview and congratulations to Matt. Hope this series makes it to Australia. Thanks Matt and Deby for a great interview! What a great guy to answer all of our questions. It was great to learn more about Matt. I’m in the US, so just recently watched all 3 seasons of the show on YouTube. LOVE it! Can’t wait to check out Matt’s blog too!